I married a car guy. 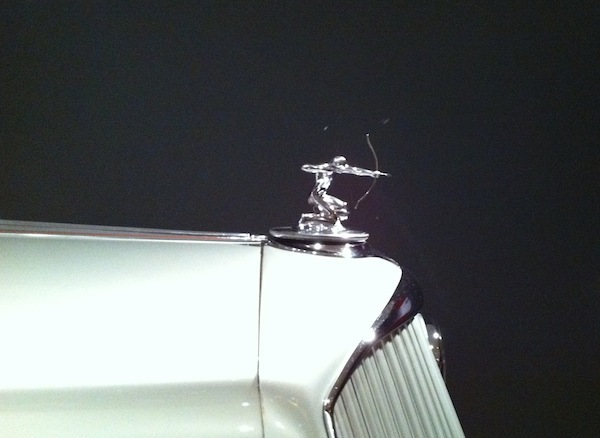 He reads the car sections in the newspapers and knows what the latest consumer report says about the new models. He loves those goofy cable shows where a group of guys each gets a car and races it to a destination, or where a couple of guys take an old wreck and turn it into a giant popcorn popper. 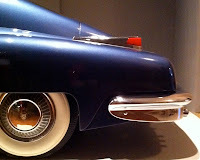 1948 Tucker Model 48 Torpedo. His favorite car movies? I'll bet you can guess: Bullitt. The French Connection. The Italian Job (the first one). And heaven forfend if a 1967 Mustang shows up in a movie that's supposed to be set in 1965, even if it's in the background of a shot. I've lost the thread of many a plot due to the rewinding that takes place when he's trying to identify an out-of-focus car in the distance. 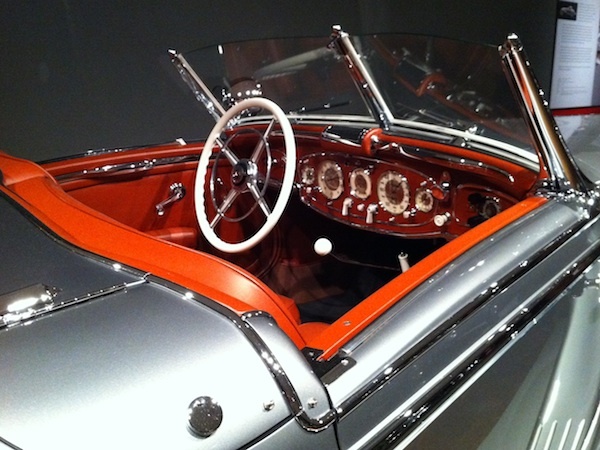 1937 Mercedes-Benz 540K Special Roadster. 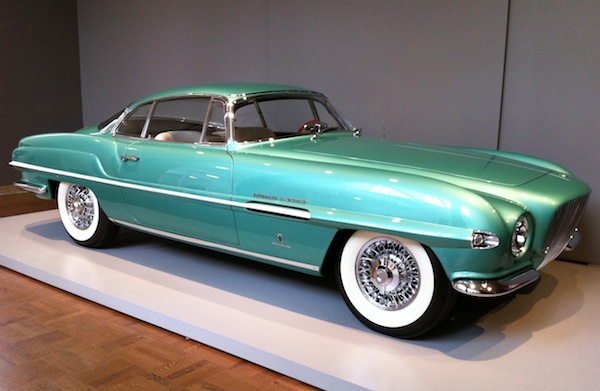 So when the Portland Art Museum announced they were scheduling an exhibition called The Allure of the Automobile, let's just say it was a foregone conclusion that we'd be going. I thought I'd take one for the team, put on my martyr suit and accompany him as he oohed and aahed over a bunch of antique cars. Then after the first twenty minutes of excruciating boredom I could excuse myself and hit the coffee shop while he continued ogling. 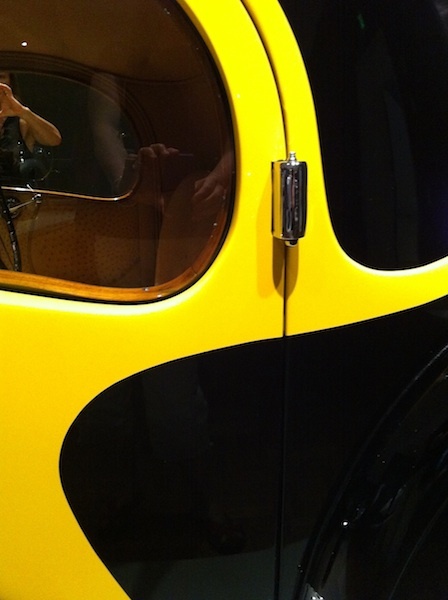 Detail of 1937 Bugatti Type 57S Atalante. When we walked in, the first car in the exhibit, a 1961 Aston Martin DB4GT Zagato Coupe, had me cocking my head over its muscular lines and exquisite engineering. And I was dying to run my hands over the ostrich skin seats in the 1937 Bugatti Type 57S Atalante. Then there was the 1937 Talbot-Lago T150-C-SS “Teardrop” Coupe that would be so fun to drive down the Champs Elysées and around the Arc de Triomphe. And that's what this exhibition does to you. Even if you're not a car nut like Dave, you'll be imagining sitting beside Steve McQueen in his 1957 Jaguar XK-SS Roadster, terrorizing the residents of that twisty two-lane backroad in Los Angeles called Mulholland Drive. 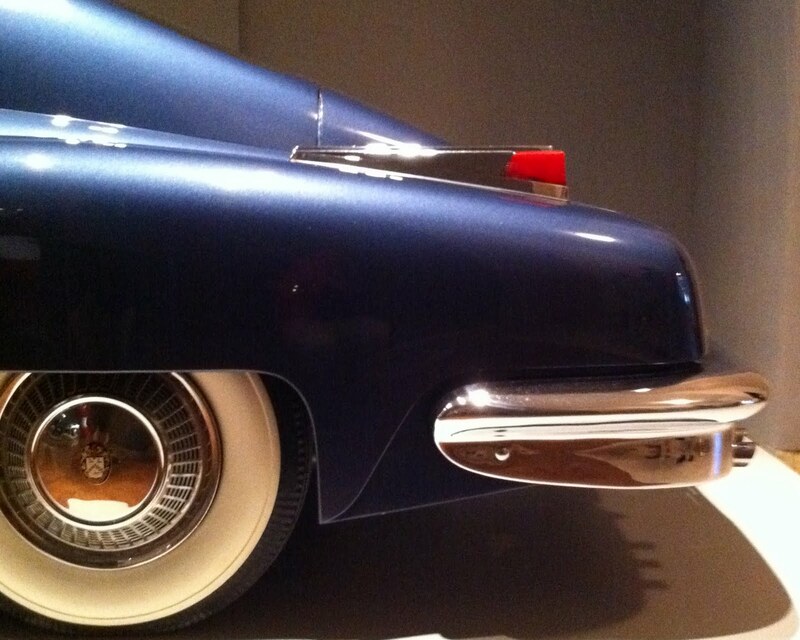 Details: The Allure of the Automobile at the Portland Art Museum. Now through Sept. 11. 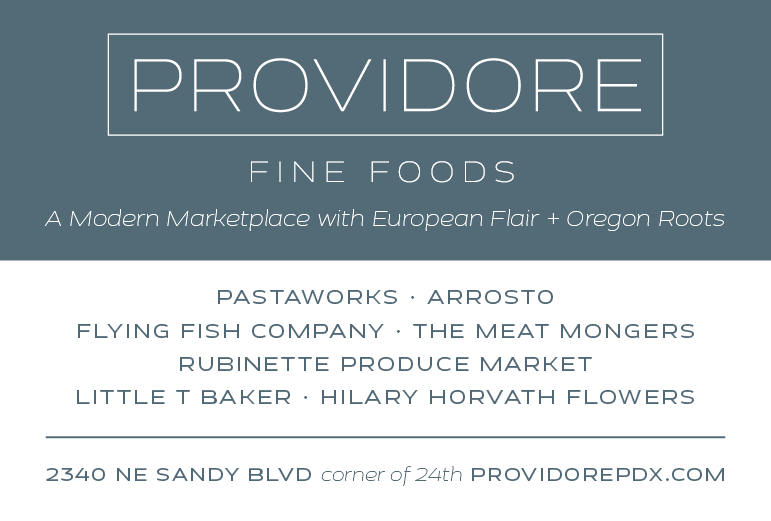 Tickets available online. Funny. What kind of car did he drive when you met? It was a primer-grey 1964 Chevy pickup.